Want to visit Westeros? Can’t let go of GoT? 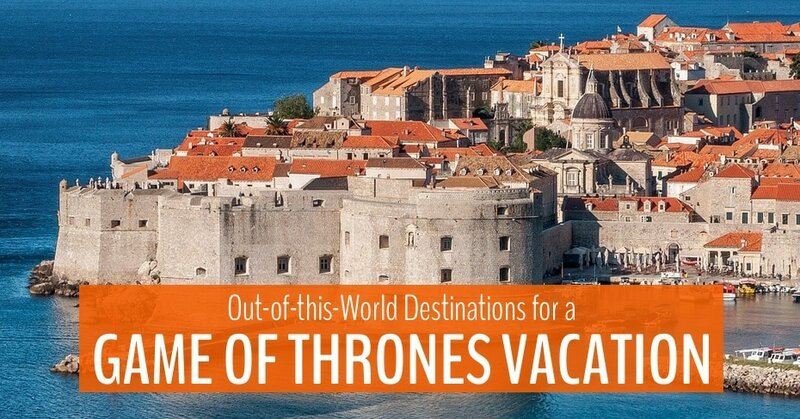 Keep the magic alive by taking an unforgettable Game of Thrones vacation. In this post, we choose our 5 favourite GoT filming locations that double as spectacular travel destinations. What’s in our guide to Game of Thrones vacation destinations? This post was created in partnership with KKday. The final season of Game of Thrones is upon us!! Stephen and I are equal parts thrilled to see how everything turns out and dreading the end of the greatest TV series since forever. 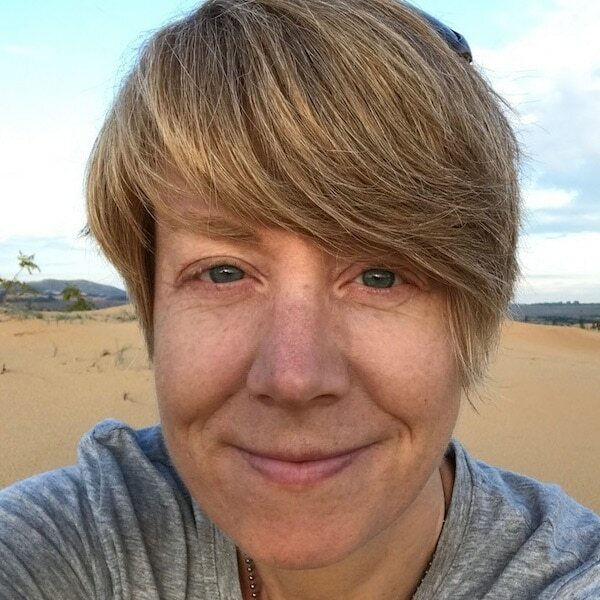 Game of Thrones had a direct impact on our decision to sell our house in 2012 and take off on our own adventure, cycling to far reaches of the world that most tourists never see. I had listened to the books during my arduous LA commute and they helped me realize that a life spent in freeway traffic was not a life well lived. This is what your vacation snapshots could look like on a Game of Thrones-inspired holiday! 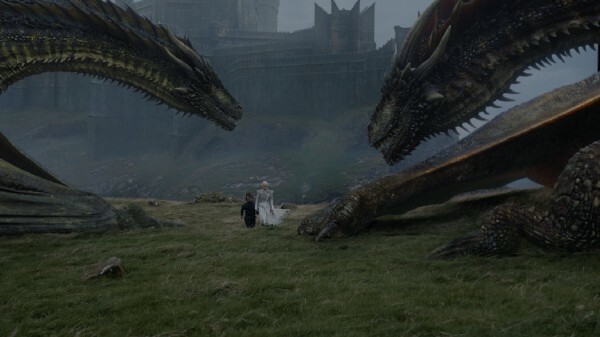 Photo: Courtesy of HBO. We didn’t start to watch the series until we we already on the road. Curling up around our laptop in our tent to watch the next episode became our ritual — weirdly, it kept us grounded in our recently uprooted life. The show has been a key part of our travels ever since. We never pass up the chance to visit Game of Thrones filming locations in person. Now, because we simply cannot wait for the final season to start, we want to share our favourite Game of Thrones holiday destinations with you. They bring you right into the heart of the show and make it easy to imagine you are a fly on the wall of some of the greatest GoT scenes. They are magnificent destinations in their own right. 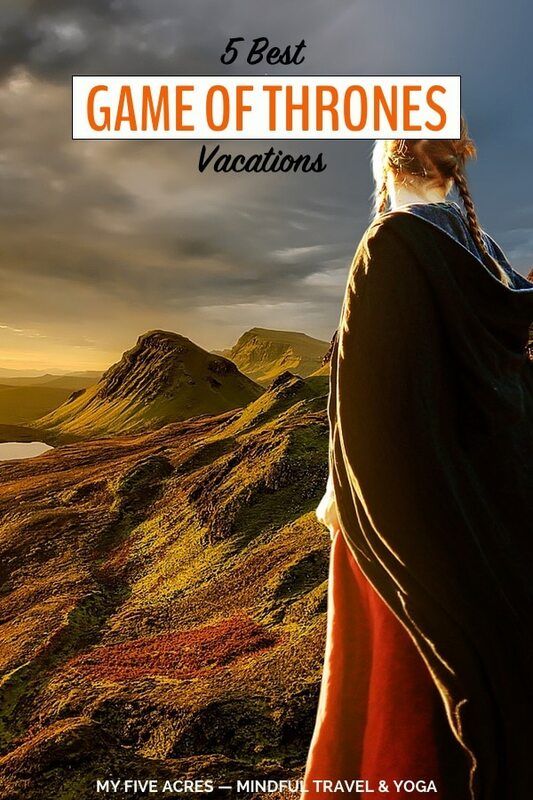 So, in case you have a family member who is not a GoT fan, they will still love the trip just as much almost as much as you! 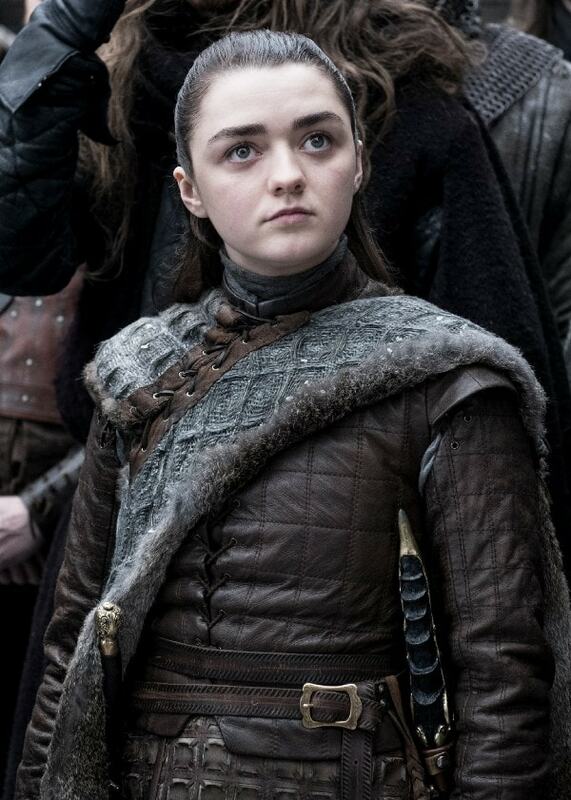 Spoiler alert: If you haven’t yet seen Game of Thrones, what is wrong with you? Seriously! Stop reading this post and go watch. There are thousands of spoilers below. 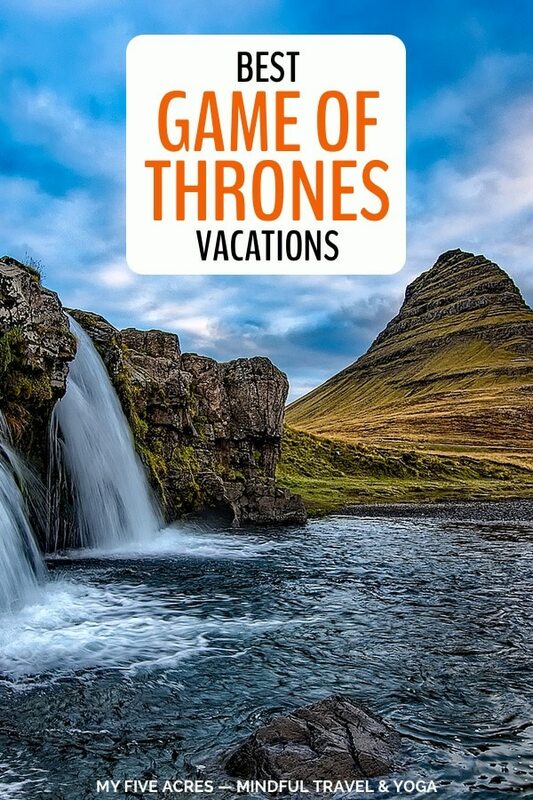 Pin this if you want a Game of Thrones vacation! Dubrovnik is the most well-known Game of Thrones destination, so go in low season to get the best of it. There are also lots of other Game of Thrones locations scattered around Croatia, like Split and Šibenik, so plan an extended stay in the country and go explore. 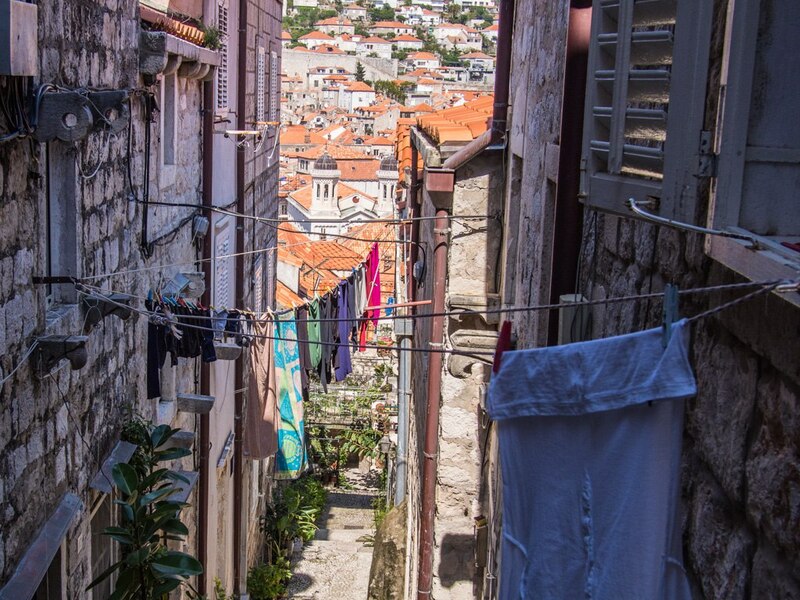 Climbing through the streets of Dubrovnik, you will feel intrigue around every corner. This wonderful fortified city hangs off the edge of Croatia’s rugged coastline at the narrow southern tip of the country. Why is it a great spot for a Game of Thrones vacation? Dubrovnik has long been one of our favourite cities in the world and we can never visit often enough. The city is surrounded by the natural fortifications of sea and land. Now, though it is undeniably touristy (do not go in high season!! ), Dubrovnik still retains an ancient magic that makes it the perfect setting for the intrigue and (literal) backstabbing that happens in King’s Landing. I took a Game of Thrones walking tour in Dubrovnik. It was thrilling being taken to the key locations and then shown the stills from scenes that happened there. Since there are more than a dozen notable GoT shooting locations in Dubrovnik, taking a walking tour is the best way to make sure you get to really experience them. Plus, you’ll hear behind-the-scenes stories about what it’s like to live in a city with all those Game of Thrones characters walking around. The atmosphere in Dubrovnik is some amazing though that just walking random streets you’ll feel the pull of schemes, plots, and intrigue around every corner. Malta’s Season 1 Game of Thrones locations are extraordinary – as is the whole country! Malta was used as the Game of Thrones King’s Landing location in Season 1 and some key scenes in the Daenerys story. Malta’s main GoT locations are best visited on a day tour with one of the season 1 extras. There is so much magic in Malta! A tiny island archipelago in the Mediterranean Sea just off the southern point of Sicily. Why should you take a Game of Thrones holiday there? There’s nowhere I’ve been in the world that made me feel more like I was in an episode of Game of Thrones! Almost as close to North Africa as it is to Europe, Malta blends flavours from the entire region to make it the most exotic country in Europe. The cities of Valetta and Mdina hardly seem real — they are far more the stuff of fairly tales and magical folklore than they are of this world. We spent most of our days walking the stone-paved streets of the cities, eyes bulging and mouths agape at all the incredible buildings. If you do get tired of medieval architecture, stop and enjoy an Aperol Spritz in a sidewalk restaurant or wander one of Malta’s many inviting beaches. Daenerys fans must go to Essaouira, Morocco, which stands in for Astapor and more. Arguably, Astapor is where little Dany Targaryean becomes Queen Daenerys. A bustling seaside fishing port in Morocco, an easy bus ride from Marrakech. You can also visit Essaouira on a day tour from Marrakech. You don’t need much set dressing to make Essaouira a convincing Game of Thrones location. Why is Essaouira a great Game of Thrones destination? In Essaouira, we spent hours darting in an out of claustrophobic alleys, lined on either side by towering sandstone walls. Every few feet a small doorway leads to a mysterious universe that you can only explore in our imaginations. 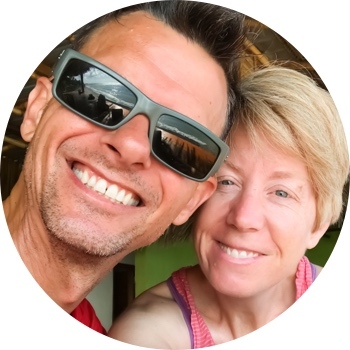 We joked and tussled with pushy salesmen in the medina, knowing full well that we had the upper hand, since there was nothing we needed to buy. When we decided to get a bag of exotic spices for our friends in London the tables turned hard. We quickly learned who really held the power in this relationship. Before we knew it, we were paying a fortune for a handful of dried plants! Climbing the ramparts to the old fort, we finally found the slave city of Astapor. It was easy to imagine thousands of Unsullied lining the beach and to pretend that the soaring seagulls were really baby dragons, ready to set fire to anyone who dared stand against Daenarys. The Dark Hedges are still on our bucketlist but they are just one of hundreds of incredible Game of Thrones locations in Northern Ireland! Northern Ireland is practically synonymous with Game of Thrones, and any breathtaking landscape (that isn’t desert or frozen) was most likely shot there. To see several locations in one day, and get the inside gossip on filming, join a GoT day tour from Belfast guided by a former GoT cast member. Note: If you’re a Winterfell completist, you’ll have to take a side trip to Doune Castle in Scotland, which was used as Winterfell for the pilot episode of Game of Thrones. Of course if castles are your thing, Northern Ireland has plenty to conquer. It’s just north of Ireland, of course. Why does it make a great Game of Thrones vacation? Besides being possibly the friendliest country we’ve ever been to, Northern Ireland is awash in incredible outdoor experiences. If you hate the heat but love nature, this is your ideal Game of Thrones destination. In Northern Ireland, there is magic seeping out of every patch of moss and craggy rock in the country — you half expect to see the Children of the Forest peeping out from behind every tree. The shoreline is immense and powerful, with waves crashing, wind lashing, and visions of Greyjoys sailing into harbour to do their worst. Plus, the trip to Northern Ireland is worth it just for the Giant’s Causeway — the most awe-inspiring geographical phenomenon I have ever seen. Though Iceland is used extensively to represent the frozen-over north of the wall, we suggest you visit in summer for the best experience! If Northern Ireland is a little too tame for you, you’ll find the true wilds (and Wildings) of Game of Thrones in Iceland. Almost all of the scenes north of the wall take place here and there are very few places in Ireland that haven’t been caught on GoT’s cameras. If you decide to head to Iceland during winter, make sure to pack your (faux) fur coat. Photo: Helen Sloan / HBO. Why is Iceland a great destination for GoT fans? Though Iceland is still on our bucket list, we know exactly what you do there — test your virility in the face of Mother Nature’s power. Of course, Iceland is home to some of the most dazzling landscapes in the entire world. But these landscapes weren’t formed by bright sunny days and gentle spring rains. No! Iceland really is the land of Ice and Fire, having been shaped by volcanic and geothermal forces from below and devastatingly cold temperatures above. This ocean-swept seductress will draw you in with her unearthly beauty… but beware that you don’t fall victim to her siren song. 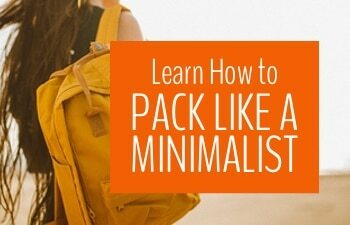 If you plan to go trekking in the wilderness, make sure you prepare well and hire a guide. Soon, you’ll be able to tour the actual Game of Thrones sets at the studio in Northern Ireland. Photo: Home Box Office, Inc.
HBO recently announced that the Game of Thrones studio, Linen Mill Studios in Banbridge, Northern Ireland, will soon open its doors to fans of the show. This is the biggie for true fans of the show, since you’ll be able to wander the real sets and gaze upon costumes and props from the show. Wander Winterfell, check out the Castle Black mess hall, and plot your overthrows in the Dragonstone map room. These sets, and many more, will all be part of the tour. It doesn’t open until Spring 2020, so you have plenty of time to plan your trip! A sad byproduct of Game of Thrones tourism is that it draws many disrespectful people to fragile locations. Last summer Grjótagjá Cave in Iceland was closed after visitors used it as a toilet and a campsite, while Dubrovnik is filled to the bursting with summer tourists. When visiting any of these locations, please show that you respect not only the legacy of the show but the locals who were there long before any GoT location scouts came through town. What can you do to travel responsibly to Game of Thrones locations? Visit in off season, especially to places like Dubrovnik, which are so much more enchanting with fewer tourists. Visit smaller, less popular filming locations along with the big ones. Stay in independently owned hotels and eat at local restaurants to send your tourist dollars straight into the local economy. Don’t just fly in for a GoT thrill and then fly out, explore the country too. For every beautiful spot that made it onto the show, there are likely dozens nearby that are just as beautiful. Obey the rules set by local authorities anywhere you visit. Don’t block foot traffic and busy areas while trying for the 100th time to get that special selfie. Remember that you are visiting someone else’s home and treat it that way! We hope you feel inspired to get out and travel (either by this post or by Game of Thrones). As you know, we love the romance and adventure of this epic series and there’s nothing quite like travel to bring a little of that off the screen an into real life! 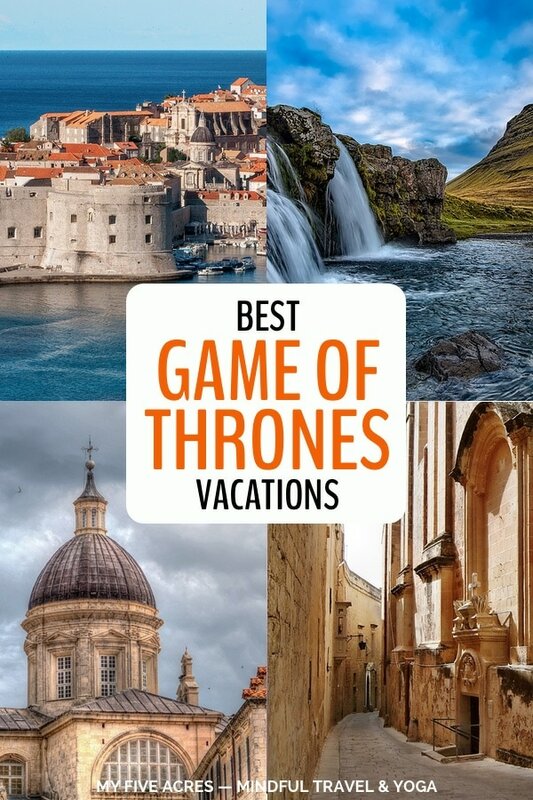 Pin this for your Game of Thrones vacation. Pin for your Game of Thrones getaway.